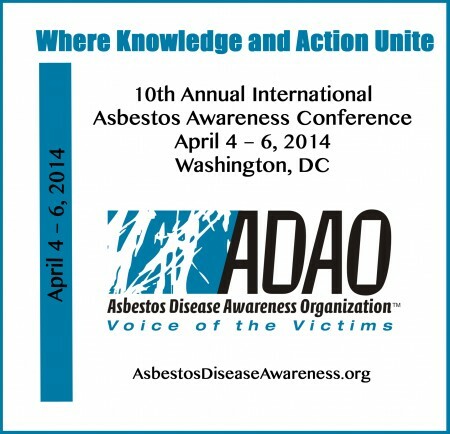 The enthusiasm about the ADAO conference is contagious!  More than 30 renowned experts and asbestos victims from ten countries will present the latest advancements in disease prevention, global advocacy, and treatment for mesothelioma and other asbestos-caused diseases. 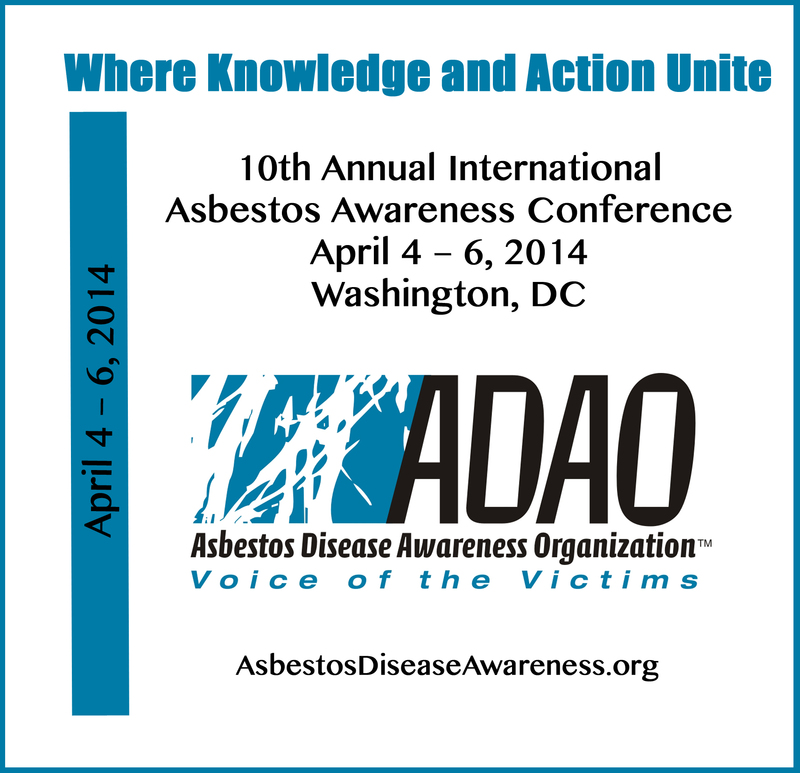 Be sure to register by April 2,2014. NOTE: We have a limited number of highly discounted hotel rooms ($129 plus tax) for conference registrants only. To receive the discount, book your room online or via phone (703-920-3230) and tell them that your group code is ADAADAA. Reserve your room soon before all of the discounted rooms are taken!